After running award winning dating agency Mutual Attraction for several years, Caroline set up the Matchmaker Academy as a way of supporting budding matchmakers and ensuring high quality standards applied across the industry. Many of the matchmaker trainees who complete the online course or attend a training weekend, are women looking for a more exciting and flexible day job. As a matchmaker they can expect to spend their days meeting singletons over coffee rather than being sat behind a desk. The matchmaker trainees come from all over the Globe but a large portion are from the UK and China where matchmakers are carrying on the tradition of making matches that last a lifetime. Award winning matchmaker and Matchmaker Academy graduate Clare Hughes from Soiree Society NI says: In Northern Ireland the matchmaking business is booming, we've never been busier as we go into our 5th year. I had thought of doing matchmaking for years but didn't see a way of making a career out of it until I came across the Matchmaker Academy. The course taught me there's far more to being a successful matchmaker than simply connecting 2 people. 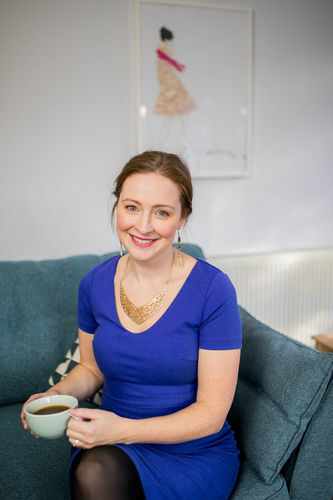 With Valentine's Day looming, founder Caroline Brealey shares the 5 fundamental must haves needed to be a top matchmaker. Have you got what it takes to be a professional matchmaker? Every matchmaker needs a bulging little black book of commitment minded singles. However many singles you have in your network you will need 10x as many so there's no rest for the wicked, you need to be out networking singles every day. A great matchmaker doesn't just nod and agree, they ask 'why?' when a client says their partner must have a certain quality or must look a certain way. Usually it's these must have's that have stopped them from meeting someone great. Like living within a 20 minute radius of their house. We're pretty sure someone would travel 45 minutes for their soulmate…hopefully! A matchmaker's gut intuition about a match is rarely wrong. As a matchmaker you'll meet every one of your members in person so you need to be tuned into your natural feelings about who would be a great couple together and why. You'll have clients who have been heartbroken and ones who have been the heartbreaker. You'll need bounds of energy to keep your client's energy levels high and keep them excited for dating. Matchmakers hear all the juicy bits about relationships - good and bad. You'll hear stories of heartbreak, loss and the amazing one's that got away. Being able to listen and be compassionate (and confidential!) is key for a matchmaker. This press release was distributed by ResponseSource Press Release Wire on behalf of Mutual Attraction in the following categories: Leisure & Hobbies, Women's Interest & Beauty, Business & Finance, for more information visit https://pressreleasewire.responsesource.com/about.